Naked Aggression / Opposition Rising Split 7” OUT NOW on PINE HILL RECORDS! Naked Aggression / Opposition Rising Split Cassette OUT NOW on NO TIME RECORDS! 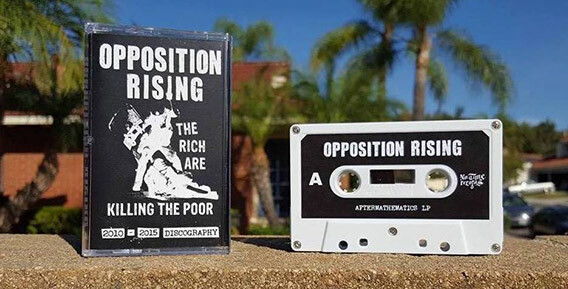 OPPOSITION RISING “2010 - 2015 Discography” OUT NOW on Cassette and Digital Download! Twenty songs from the first three records Re-mixed by Richard Marr at Galaxy Park Studios and Re-mastered by Jeff Lipton at Peerless Mastering in 2017! Cassette Available NOW from NO TIME RECORDS!